How much of your marketing focuses around your accomplishments? How great and successful you are? Your accolades? Your achievements? How much skill you’ve crammed into one business, and how great the services that your business provides are? While there’s nothing wrong with talking up your abilities in your marketing, you need to be sure that you don’t cross the line into being egotistical - for quite a few reasons. What’s Wrong with a Little Ego? Despite the negative connotations that the word frequently has associated with it, ego isn’t an inherently bad thing to have. On the contrary, it is the primary source of every person’s self-esteem. Without a little bit of ego, there can be no self-confidence - a key factor to include in your marketing. However, while they are strongly interconnected, confidence and ego are also two very different things. While confidence can help to inspire your employees and your clients to follow your lead and trust you to make the big decisions, an excess of ego will ultimately have considerably more negative ramifications down the line. Attempting to upsell to an audience without consideration of their needs, or focusing on sales maximization without upping the value provided to match. A marketing focus that is more about being seen by the “right” people than it is about being seen by the (actual) right people. Resistance to feedback, which ultimately translates into resistance to growth and improvement. Hiring staff that serve to appease the ego, not contribute to the success of the company. These staff members might be made the scapegoats if/when something does go wrong in the future. A shift in focus away from what is best for the company, and toward what is best for the individual. Strained working relationships with others, leading to reduced collaboration and similar shortcomings in operations. A marketing focus that, rather than demonstrating the value that is provided to the client or customer, talks up the company that is doing the marketing. As you might imagine, these attitudes and practices won’t help either your internal processes or your external marketing efforts - especially not in the long term. If you’re guilty of these practices in your business, the first thing you need to do is to check your ego at the door and start looking at your business and its marketing more realistically. Not everything you put out there is going to be a winner - and there are many reasons that this could be the case. Perhaps you miscalculated the number of business opportunities that a certain area would present, or you anticipated a service you introduced to be far more successful than it ultimately was. Maybe the market shifted between your research and your marketing implementation, or another alternative presented itself in that time. It could be that you had an excellent social media campaign planned out, but a brand new platform was released and completely overtook all the others before you had the opportunity to shift gears. Heck, you may have even driven away a few key employees through your hubris, leaving your business high and dry when you needed them most. Who knows, and to a point, who cares? While that dismissal may sound like an oversimplified statement, your ego is most likely going to be the thing that gets you caught up on the failed aspect of your efforts. As a result, you’ll miss out on the useful insights that could have been gleaned from the situation, or lose invaluable resources as they move on to greener pastures. However, if you can remove your ego from the equation (easier said than done, I know), you can be a more effective leader and business owner--a shift your marketing should reflect. Listening to the advice of others, with a focus on sharing credit throughout your team and acting in their best interests will help to reduce the egotistical urges you may feel. 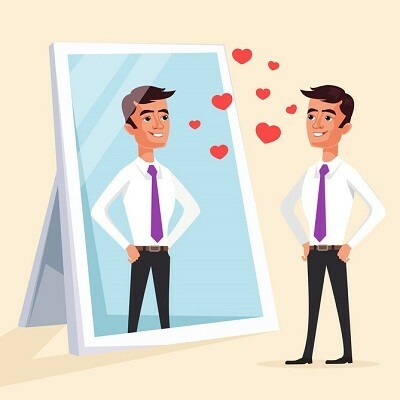 Again, there’s nothing wrong with a bit of egotism in business… until it starts to interfere with your business, its marketing, and its success. For assistance with marketing that focuses on your service offering, be sure to reach out to our team. Call 888-546-4384 today.